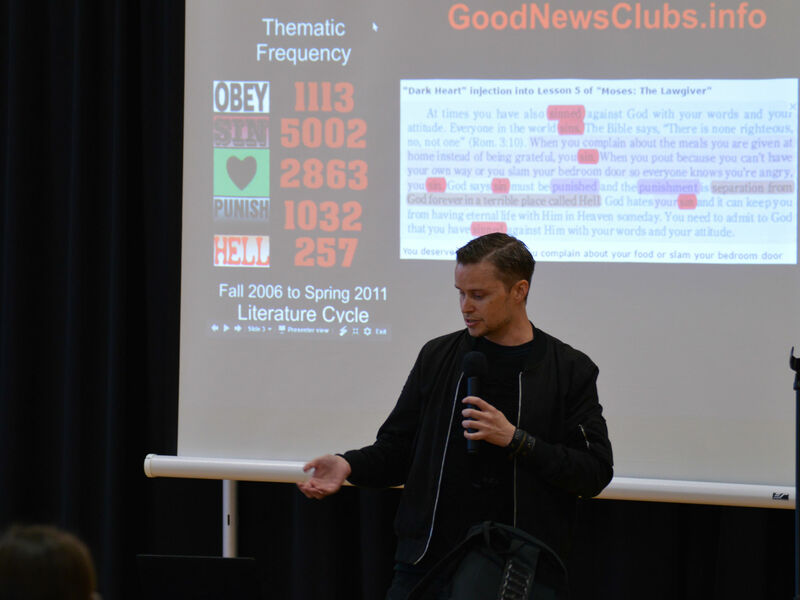 We were happy to have The Satanic Temple, represented chiefly by Temple co-founder Lucien Greaves, present this past weekend about the work they’ve done specifically targeting fundamentalist and extremist organizations such as the Good News Club in the effort of ensuring that no one religion is given equal access to public resources and that children can also be safe from the guilt-ridden “sin” messages of the Good News Club. 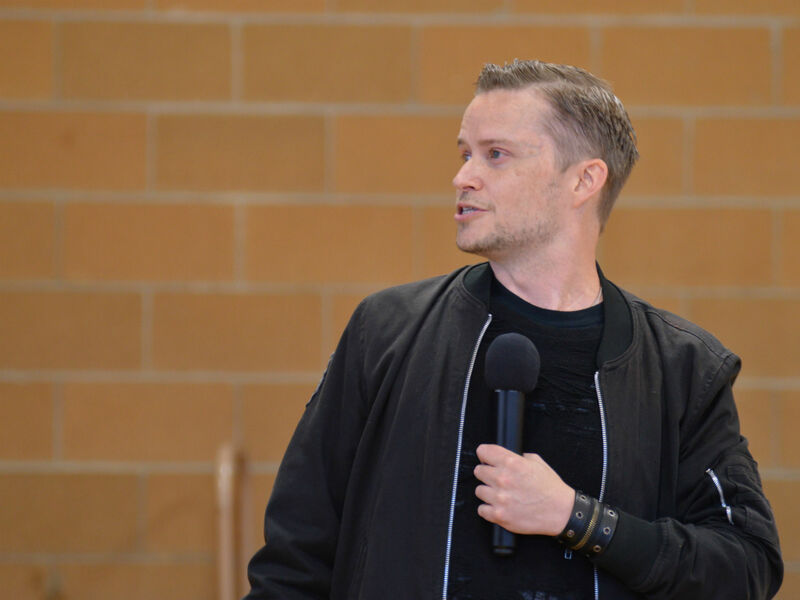 We had over 90 people show up to hear him speak, after which we went down to Sabor y Sol to continue the discussions over guacamole and burritos. 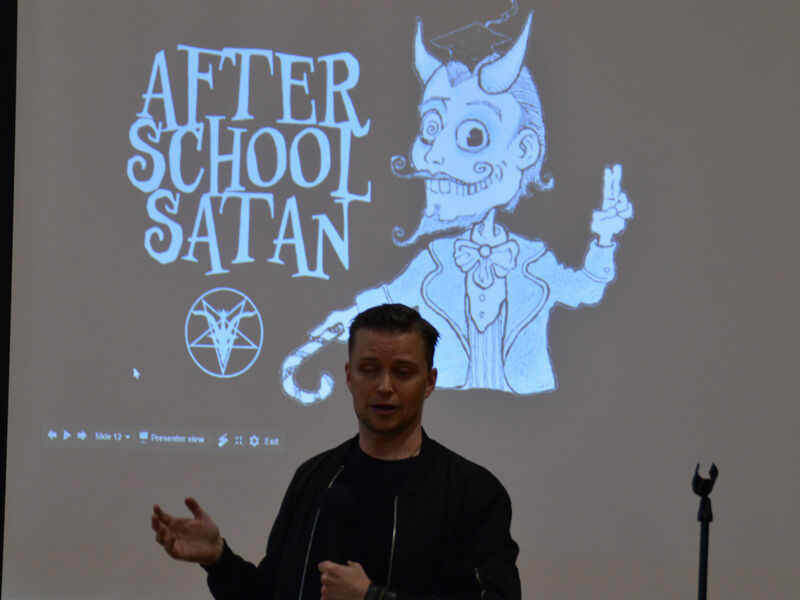 No Comments to "Good News Clubs and After School Satan: KCAC Hosts Lucien Greaves"